Set in a post apocalyptic Yokohama where the population is kept under rigid control by a homosexual megalomaniac mayor. The citizens are administered drugs to suppress heterosexual urges. 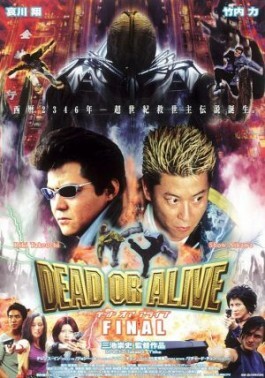 Officer Takeshi Honda (Riki Takeuchi) is a hard boiled cop enforcing the mayor's agenda, and RyÅ (Show Aikawa) is a mellowed out drifter that hooks up with a gang of rebels. When the gang kidnap Takeshi's son, it begins a series of events leading to an inevitable showdown.